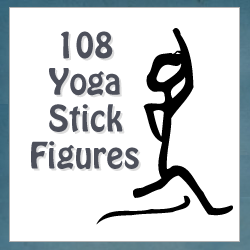 You are here: Home / Styles & Poses / What muscles is your yoga pose stretching? This is a great illustration of the muscles that you are using when performing a particular pose. One of my mentors always describes poses in terms of the target area – where on your body it is meant to stretch. I like this because the emphasis is not on what the pose looks like but where you should feel it. This allows you to adjust the pose and make it work for you!